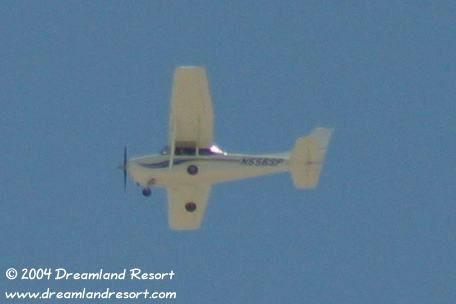 Our Cessna over Rachel. Photo by Chuck Clark, with friendly permission. You can see Frank in the open window.